In Behind Of Every Great Doctor is an even Greater Team! The Sanas Health Practice Team make your experience extraordinary each and every time you visit. A Warm Smile and a Hug are common practice. Whenever you visit you feel like you’ve come home. Not only are these key players incredible at their vocations but they each bring oodles of experience that just add to your amazing level of care so that you can find your best state of health. 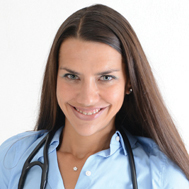 Dr. Marisol is an expert in the art of cleansing and detoxification. She inspires people to live and feel better! She is a master of both the art and science of medicine, and therefore the patient experience includes the best of both worlds. Through consultations, labs, full physical examinations and the use of many holistic assessment tools, you will be confident your concerns have been truly heard, you have been fully assessed and your health journey is on the right track. Dr. Marisol’s style of medicine focuses on the three major balancing systems in the body; the hormonal, immune and nervous systems, coincidentally, the most prone to insult from toxins of all sorts. Her goal is to find the weakest link and re-balance it. The domino effect of this is the balancing of all three systems. It’s an approach that works. She enthusiastically educates you and motivates you into action. She provides easy to execute protocols that are life changing! She travels the world over (Germany, France, USA, etc.) upgrading her expertise in the areas to best care and treat her patients. She is a member of Society for Integrative Oncology (SIO), Oncological Association of Naturopathic Practitioners ( OncANP), International Society for Orthomolecular Medicine, Canadian Association of Naturopathic Doctors (CAND) and Ontario Association of Naturopathic Doctors (OAND). Her goal is to help as many people as possible live a full, healthy and happy life. All it takes is adopting your best health practices. She inspires people to live and feel better!! Come start your experience today. Melissa Bingeman (nee Willms) grew up in Kitchener/Waterloo and started her health journey at the University of Waterloo where she obtained her Honours Bachelor of Science. She considered various health professions before coming to the realization that the Naturopathic approach of finding the root cause of illness and using natural methods of treatment was the form of medicine that she believed in. Melissa pursued her passion at the Canadian College of Naturopathic Medicine in Toronto where she obtained her naturopathic medical degree. Dr. Melissa utilizes the methods of cleansing and detoxification with special focus in thyroid, hormonal and women’s health. She treats health concerns such as hypothyroidism, menopause/andopause, infertility, PMS, mood/anxiety disorders, weight loss, pregnancy and post partum. Dr. Melissa has a passion for health, education, and balanced living. She regularly travels the world upgrading her knowledge and skills in the realms of functional and restorative medicine. This green smoothie lover strives to empower her patients to achieve optimal health through nutrition based medicine and research driven supplementation. She also honors the mental emotional connection to the body and encourages her patients to regularly participate in activities that feed the soul. As an avid runner, yogi, cook, traveler and public speaker, Dr. Melissa has transformed her own life and strives to foster the same passion for adventure, life balance, and optimal health in her patients.“I believe the body has the innate ability to heal itself; sometimes it just needs a push in the right direction”. 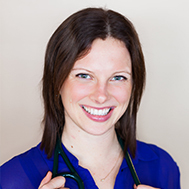 Dr. Melissa is a member of the Ontario Association of Naturopathic Doctors, the Canadian Association of Naturopathic Doctors and the College of Naturopaths of Ontario. She has completed her Provincial Prescribing Exam which enables her to prescribe Natural Thyroid and Bioidentical Hormones and she is also Intravenous Therapy Certified. Her passion for natural health, literally found its roots in her love of plants. Having grown up in the country, she is an aficionado for all things that grow. She tends to our patients every needs just like she tends to our beautiful gardens. Everything Jamie does is with great care, love and attention. Just like the first blooming spring tulips, she’s a true delight in every way. Jamie welcomes you in your health practice and looks forward to serving you.